A big part of being authentic is becoming okay with all the parts of you, including feelings of worry and anxiety. Anxiety isn’t bad. It’s completely normal to worry, but sometimes we need to take control when it comes to worrying. 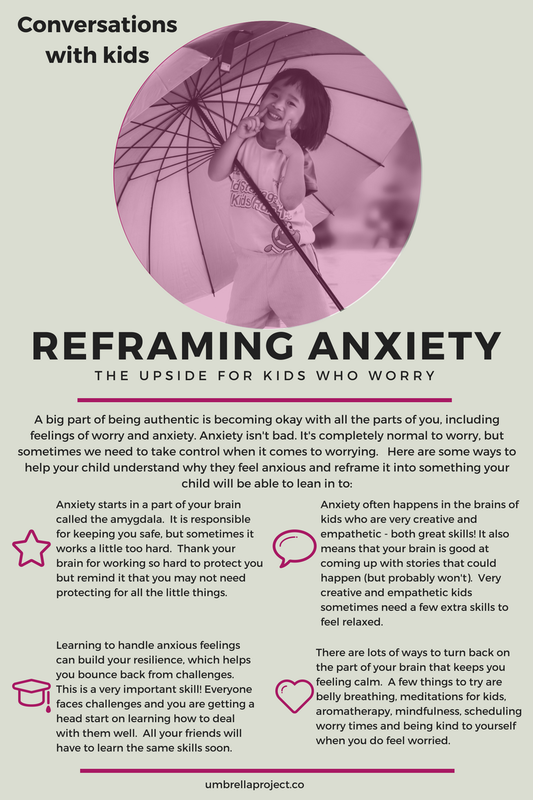 Download a PDF copy of today’s infographic by clicking here for insights on helping your child understand why they feel anxious and how to reframe that feeling. Want to learn more? Follow along with our Facebook video series of monthly tips! 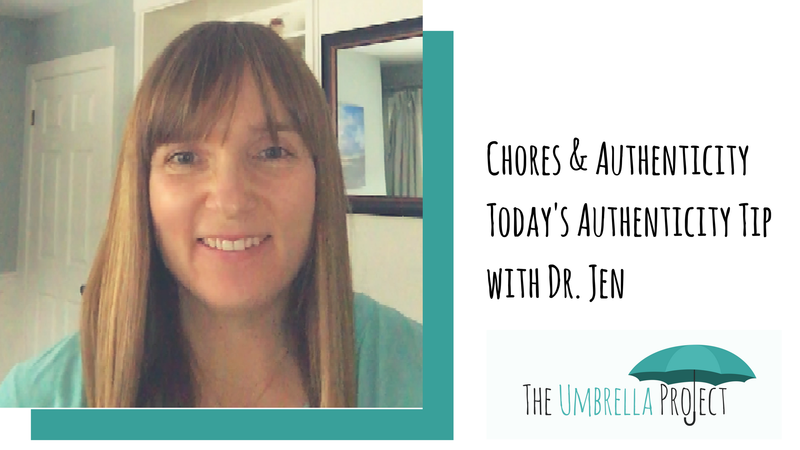 Can chores really build authenticity? There are certain states that can help us feel more authentic, even if this is counter to our current personality. For example, in the research, authenticity increases when participants are being conscientious, even if they don’t self-identify as being a conscientious person. Conscientiousness in children doesn’t exactly top the list of most common traits, much to most parent’s dismay. Most children will naturally default to disorganization and inefficiency. To help build conscientiousness, set up systems to allow your child to be successful. Help them get into the habit of seeing tasks through to completion, keeping their spaces organized, doing chores and following through with what they say reliably. This reinforced behaviour will build their authenticity, help your children take good care of themselves and has been shown to lengthen their lifespan. Learn more in our video tip, above, or view it on our Facebook page here. Read the previous blog post on creating charts to help with stress-free behaviour change by clicking here. When you teach vulnerability as power and accept yourself as you are, you can begin to help your child embrace self-acceptance. This is an important piece of this month’s umbrella skill, Authenticity! Download your printable PDF copy of the infographic, above, by clicking here. What you say around your child matters – not just what you say to them directly. You could be influencing them with more inputs than you realize! Listen in and learn more in today’s authenticity tip with Dr. Jen. Click the video above or watch it on our Facebook page here. Our children’s self worth should have many pillars supporting it so that they are less vulnerable to challenges in one specific area and are more able to stay true to themselves. This is especially true when it comes to their friends. 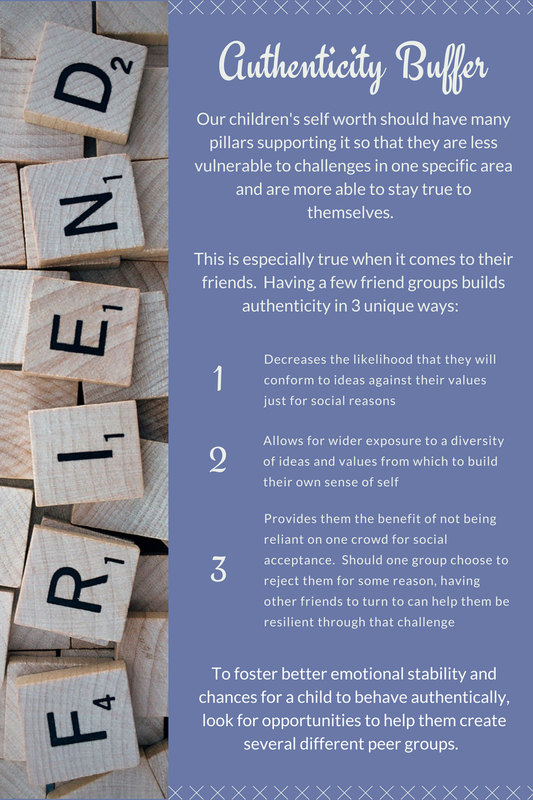 Having a few friend groups builds authenticity in 3 unique ways – read more in today’s infographic! Download your PDF copy here. Is authenticity a skill your child would benefit from improving? Each child’s umbrella looks different depending on the experiences that they have had thus far in their lives. Download this infographic to get a better understanding of where your children are in their development of authenticity.